Kalida Akytkhan, pictured with her son Parkhat Rakhymbergen, has two sons and two daughter-in-laws who have been detained in re-education camps in Xinjiang. She brought photos of her family to the offices of rights organization Atazhurt in Almaty. 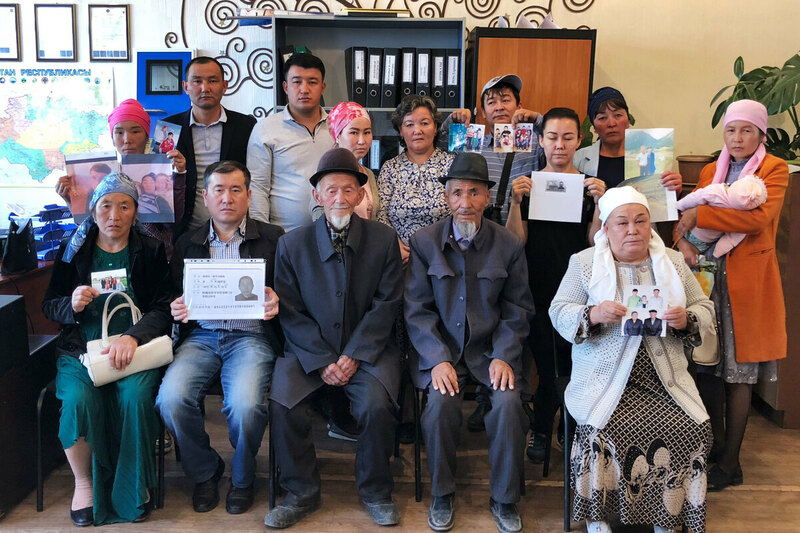 A tiny office in the heart of the Kazakh city of Almaty is filled with weary-eyed visitors clutching photos of their missing mothers, fathers, sons and daughters. Each morning they arrive, lining up behind two desks staffed with workers who enter their information into a database of the disappeared. Kalida Akytkhan, 64, clad in a white sweater and matching headscarf, has traveled 300 miles in the hopes that people here can find her two sons. "My daughter-in-law called me," Akytkhan says in Kazakh. "She said my son had been taken. The next day, my other daughter-in-law called and said my other son was taken." Akytkhan grew up in China and later moved to Kazakhstan, gaining citizenship there. Her sons remained in China as Chinese citizens. Now they had been detained and ordered "re-educated" by Chinese authorities for visiting their parents in Kazakhstan, a foreign country. "I called the village head, and he told me to mind my own business," says Akytkhan. "After that, my daughters-in-law disappeared." The two sets of parents left behind 14 children between the ages of 3 and 15. Akytkhan has no idea where her grandchildren are or who's taking care of them. She says the stress of not knowing the whereabouts of her family led to her husband falling sick. Just days before she visited this office, he succumbed to his illness. "He died not knowing where his own children and grandchildren are," she says through sobs. "He stopped eating and drinking. He got weaker and weaker, and he kept asking where they were." In the past year, the office, run by a Kazakh rights organization called Atazhurt, has collected more than 1,000 testimonies from ethnic Kazakhs and Uighurs whose families have disappeared into a network of internment camps across the border, a few hundred miles away in the Chinese region of Xinjiang. They're among an estimated million people belonging to mostly Muslim ethnic minorities who have been detained. A group of ethnic Kazkhs stand together at the offices of Atazhurt in Almaty, displaying photos of their missing loved ones in the Xinjiang region of China, where government officials have rounded up the mostly Muslim ethnic minorities of the region and placed them inside so-called "re-education" camps. International rights groups have blamed China's government for conducting a campaign of cultural genocide. "We help them write complaints to the U.N., to the Kazakh president's office, to the Kazakh foreign ministry," says Serikjan Bilash, Atazhurt's co-founder. "We've given up writing to the Chinese embassy in Kazakhstan, because writing to them is like throwing a stone in the sea." Bilash sent China's embassy boxes filled with complaints from the families of those detained in the camps in Xinjiang, but says staff refused to accept them. Kazakhstan's government hasn't treated him much better. "I've received four warnings from them [to stop my work]," complains Bilash. Kazakhstan and its neighbors in the mostly Muslim region of Central Asia that have benefited from Chinese investment aren't speaking up for the Muslims inside interment camps in China, he says. "They're silent about this because they need Chinese money. They've sold their religion. They don't want heaven. They want Renminbi," he says, referring to China's currency. "It just came out of the blue"
Uighurs and Kazakhs, the overwhelmingly Muslim ethnic minorities in Xinjiang, constitute more than half the region's population, but they make up less than 1 percent of China's entire population. In 2016, after China suffered several terrorist attacks blamed on Uighur separatists, Chinese leader Xi Jinping appointed a new party secretary of Xinjiang, who transformed the region into one of the world's most tightly controlled police states. Chen Quanguo, who oversaw a proliferation of police stations in China's region of Tibet while serving as party secretary there, has used the same playbook in Xinjiang. Security cameras were suddenly installed, capturing all corners of the region's cities, and police stations were built every few blocks, with officers routinely demanding IDs from passersby. Around the same time, a number of prominent Uighur officials in Xinjiang began writing "loyalty letters" to the Chinese Communist Party, published in state-run newspapers, stating their unflinching support for Chinese rule and policies in Xinjiang. 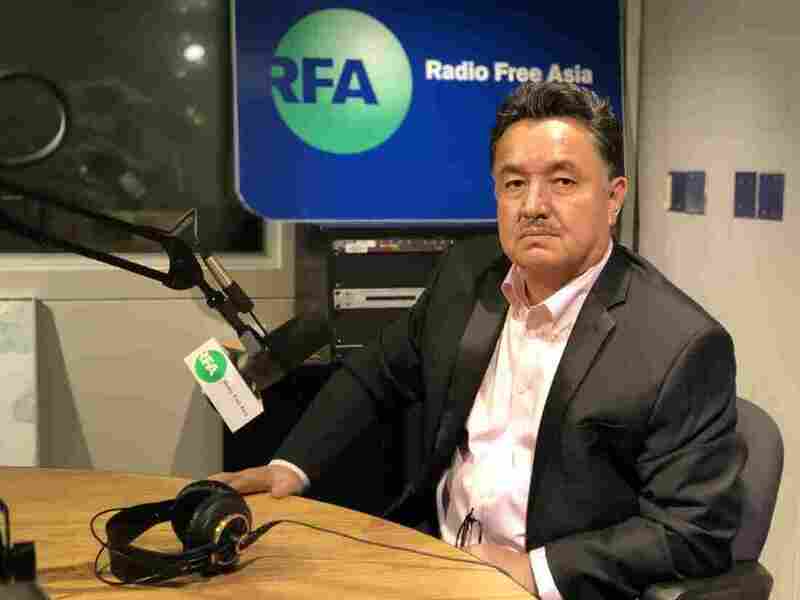 "It just came out of the blue," recalls Alim Seytoff, director of the Uighur language service at Radio Free Asia in Washington, D.C. The organization is funded by the U.S. government and is broadcast globally over shortwave radio. Thanks to a wide range of local connections in Xinjiang, Seytoff's team of ethnic Uighur reporters often breaks news developments in the region. Seytoff says he and his colleagues first learned of the re-education camps in April 2017, soon after the loyalty letter campaign. "It was shocking," he recalls. "A large number of people in different towns were being detained not for committing any crimes, but simply because someone had a beard, or had a beard a couple of years ago, or someone's wife wore a long dress a few years back, or some people were just gathering to talk about a religious teaching." Seytoff says his team interviewed Uighurs who said they were asked to fill out a government form to assess their security threat to the Chinese state. Uighurs told Seytoff's team that applicants were graded on a 100-point scale. "If you are a Uighur, you automatically lose 10 points," recalls Seytoff. "If you pray? Another 10 points. You've been overseas? Another 10 points. You have relatives overseas? Another 10 points. If you're 50 or below, you're unsafe and you go to a camp." Thanks to available satellite data and access to Chinese government procurement and construction bids, researcher Adrian Zenz has been able to gather evidence of rapid construction of the camps starting in March 2017. What's less clear, though, is the government's motivation in building them. In interviews with dozens of ethnic Uighurs and Kazakhs who have family members inside the camps, several former residents of Xinjiang told NPR they believed the goal of China's government was to eradicate ethnic minorities from the region altogether. Zenz has a different take. He believes the Communist Party leadership in Beijing is reacting strongly to a string of terrorist attacks carried out by Uighurs in several cities throughout China. "They were really looking for a definitive solution to the problem by believing that you need to change the people. You can't just put a police officer next to every Uighur," says Zenz. "You can't just have a camera in every Uighur home, although they're getting close to that. Trying to literally change the population through intensive indoctrination is the next level up." After months of denying the camps existed, China's government suddenly justified them over state-run media last month. In an interview with Xinhua, the Uighur governor of Xinjiang said the camps were built to provide vocational training to Uighurs, "and now they have realized that life can be so colorful." He said the campaign to re-educate minorities in China would take many years. In a report on the camps from Communist broadcaster CCTV, a Uighur inmate said, "Before coming here, my brain was simple, my ideas impoverished. Now my brain has been enlightened with knowledge." Rights groups have roundly dismissed these reports as propagandistic nonsense. Zenz says China's Communist Party, increasingly under pressure about the camps from foreign governments and the United Nations, is in an ideological bind. "Communism has always tried to create a new person that's no longer affected by the opium of religion," says Zenz. "On some level, therefore, they have to believe that re-education and changing people works, because if they don't, they basically have to admit the possibility that something like religious belief could be stronger than Communist belief." "I will destroy your family"
At Radio Free Asia, Shohret Hoshur is in between broadcasts at the Uighur language service. His team's work has come at a price: He and five colleagues have family members who have been detained. When some of his relatives were taken, he called the police chief in his home village back in Xinjiang. "As soon as he picked up the phone, he recognized my voice," recalls Hoshur. "He said, 'Don't ever call this number again. If you do, I will destroy your family.' Four months later, two of my brothers were arrested." Shohret Hoshur, a journalist at Radio Free Asia who reports on news in China's Xinjiang Uighur Autonomous Region. Eight of Hoshur's family members are detained in the camps or in prison in retaliation for his work, he says, including his 78-year-old mother. Eight of Hoshur's family members are detained in the camps or in prison in retaliation for his work, he says, including his 78-year-old mother. Police told her she had an "ideological problem" before she was taken in April, he says. Hoshur says he feels an obligation to keep reporting. "So many people who have dared to tell the truth to let the world know what's happening are now in prison," he says. "So I feel like I have a responsibility to them to uphold. For Westerners, it's almost unbelievable that something like this is happening in this day and age. On the other hand, the power of China's government is rising, and it can exert an enormous amount of pressure on the rest of the world." "I used to be proud of being born in China"
That power hasn't stopped the families of the disappeared from searching for their loved ones. 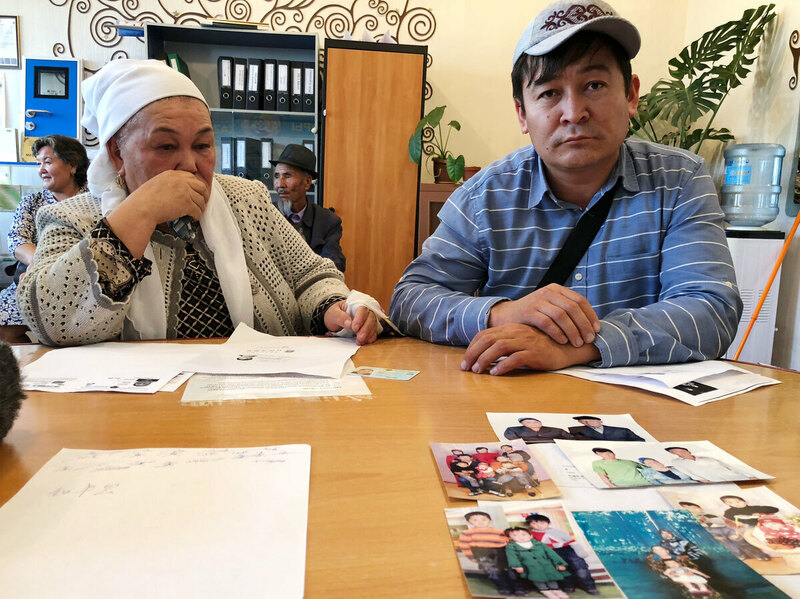 In Atazhurt's tiny office in Almaty, a 15-year-old Uighur girl reports that her mother was detained in March, after authorities discovered she and her father had left China for Kazakhstan. The girl, who doesn't give her name for fear of retaliation against her mother, says she has repeatedly called the police back in her hometown in China. "They only tell me that she's studying and learning Mandarin," she says. "It's horrible. I've heard people in the camps are forced to eat pork and drink alcohol in order to denigrate their religion. They're also forced to give thanks to the Communist Party before every meal. I don't think a humane country would ever force people to do such things." She says her Han Chinese friends back home are sickened by what's happening to their Uighur and Kazakh friends and neighbors. I ask her if she'll ever go back to China. "I want to go back to yesterday's China, not today's China," she says. "I love China very much. It's where I was born and raised. I never expected it would turn into what it has today. I used to be proud of being born in China. I told everyone I was Chinese. Now I don't know what to say." Naubet Bisenov and Dinara Saliyeva contributed to this report.